Eczema: Risk factors, Diagnosis and Management. 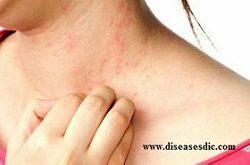 Eczema refers to a chronic inflammatory skin condition, characterized by dry skin, with patches that are red and intensely itchy. These patches of eczema may ooze, become scaly, crusted or hardened. The patients may have times when their skin is clear and other times when they have rash. It is also called atopic eczema. Atopy refers to a hereditary tendency toward eczema, asthma and allergic rhinitis (hay fever). People with eczema may suffer with one of the other atopic diseases. Both dermatitis and eczema mean inflammation of the skin. Atopic dermatitis is the most common form of eczema. It usually starts in childhood, and often gets milder or goes away by adulthood. Atopic dermatitis is part of what doctors call the atopic triad. “Triad” means three. The other two diseases in the triad are asthma and hay fever. Many people with atopic dermatitis have all three conditions. If you have red, irritated skin that’s caused by a reaction to substances you touch, you may have contact dermatitis. It comes in two types: Allergic contact dermatitis is an immune system reaction to an irritant like latex or metal. Irritant contact dermatitis starts when a chemical or other substance irritates your skin. Dyshidrotic eczema causes small blisters to form on your hands and feet. It’s more common in women than men. Eczema that only affects your hands is called hand eczema. You may get this type if you work in a job like hairdressing or cleaning, where you regularly use chemicals that irritate the skin. Neurodermatitis is similar to atopic dermatitis. It causes thick, scaly patches to pop up on your skin. This type of eczema causes round, coin-shaped spots to form on your skin. The word “nummular” means coin in Latin. Nummular eczema looks very different from other types of eczema, and it can itch a lot. Stasis dermatitis happens when fluid leaks out of weakened veins into your skin. 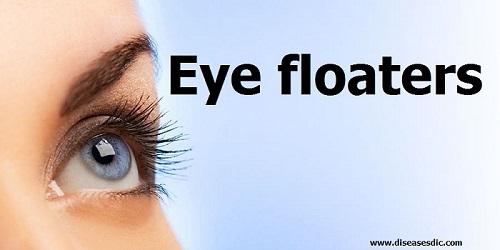 This fluid causes swelling, redness, itching, and pain. Dermatitis derives from the Greek “derma,” which means skin, and “itis,” which means inflammation. Dermatitis and eczema are often used synonymously, although the term eczema is sometimes reserved for the acute manifestation of the disease (from Greek, ekzema, to boil over); here, no distinction is made. Over the years, many other names have been proposed for the disease, for instance, prurigo Besnier (Besnier’s itch), named after the French dermatologist Ernest Besnier (1831–1909). Allergic sensitization and elevated immunoglobulin E (IgE) are present in only about half of all patients with the disease, and therefore atopic dermatitis is not a definitive term. Most cases first develop in children under the age of five years. It is unusual to develop atopic eczema for the first time after the age of 20. At the moment, about 1 in 5 schoolchildren have some degree of atopic eczema. However, statistics show that it is becoming more common year on year. In about 2 in 3 cases, by the midteenage years, the flare-ups of eczema have either gone completely, or are much less of a problem. However, there is no way of predicting which children will still be affected as adults. Having eczema means that when the skin barrier is damaged, moisture evaporates and this makes the skin more susceptible to allergens and irritants. This irritation can trigger the skin to release certain chemicals that make the skin itchy. If you scratch, more chemicals are released and the skin feels even itchier. This “scratch and itch” cycle can be most distressing. Close contact with animals can cause itching or hives, as can sitting and playing on the grass. Contact with house dust mite allergen on the skin can increase inflammation. Constant exposure to water, soap, grease, food or chemicals can damage the protective barrier function of the skin. Once the protective barrier of the skin is lost, eczema frequently develops. Many factors in a person’s environment can make eczema worse; these include heat, dust, wool, pets and irritants such as soap and detergents. Being unwell, for example having a common cold can make eczema flare. Infections with bacteria or viruses can make eczema worse. Bacterial infection (usually with a bug called Staphylococcus) makes the affected skin yellow, crusty and inflamed, and may need specific treatment. An infection with the cold sore virus (herpes simplex) can cause a sudden painful widespread (and occasionally dangerous) flare of eczema, with weeping small sores and may need treatment with oral antiviral treatment. Topical steroids should not be used if this is a possibility. Some areas of the skin become red and inflamed. The most common areas affected are next to skin creases, such as the front of the elbows and wrists, backs of knees and around the neck. However, any areas of skin may be affected. The face is commonly affected in babies with atopic eczema. Inflamed skin is itchy. If you scratch a lot it may cause patches of skin to become thickened. Sometimes the inflamed areas of skin become blistered and weepy. 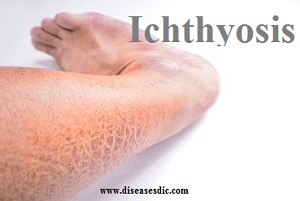 Sometimes inflamed areas of skin become infected. Blood tests: These require a small blood sample, typically drawn through a needle in the arm. One such test looks for high levels of eosinophils, cells in the blood that are part of an immune reaction. Another looks for high levels of a molecule called IgE antibody. Blood levels of these are elevated in people with atopic diseases, including eczema. Even more useful are allergen-specific IgE tests, which measure levels of the antibody, each of which is associated with a different allergen. Skin biopsy: In this procedure a doctor first numbs the skin and then removes one or more small pieces of skin, which is used to rule out other skin diseases from atopic dermatitis, such as a low-grade skin cancer or psoriasis. Allergy skin testing: Prick skin tests can be done to common foods or inhalant allergens to show sensitization or lack of sensitization to specific allergens due to eczema. Patch testing: In this test, small patches covered with allergenic chemicals are placed on the skin for 48 hours, then removed and the skin reaction is evaluated at 72-96 hours for atopic dermatitis. It can identify contact allergy to chemical sensitizers such as fragrances, metals, lanolin, rubber, etc. Buccal swabs: The inside of the cheek can be swabbed with a cotton applicator to get cells as a source of DNA material to look for mutations in the Filaggrin gene, one of the causes of eczema. Excess water should be gently pat away and the recommended medicine or moisturizer should be immediately applied to moist skin. Try to do this within three minutes. This seals in the water. (If you are applying skin medicine, do not apply moisturizer over it). Emollients (moisturizers) are a major part of eczema treatment. A moisturizer is a skin care product that adds moisture to the skin. Ointments and creams are recommended instead of lotion for people with very dry skin. They are used to replace lost skin moisture, help restore the normal barrier function of the skin, help the skin feel more comfortable and reduce itch. Emollients are very safe to use. You can apply them as often as you need or wish. Steroid medicines that are applied to the skin are called topical steroids. Topical steroids are drugs that battle inflammation. They are extremely supportive when rash is not well controlled. Topical steroids exist in lots of forms such as ointments, creams, lotions and gels. It is significant to recognize that topical steroids are made in low to super potent strengths. Hydrocortisone, a very mild steroid, is fairly safe. Tar creams or bath emulsions can be helpful for mild inflammation. Oral or topical antibiotics reduce the surface bacterial infections that may accompany flares of AD. Oral Antihistamines (taken by mouth) can help decrease itching. Some antihistamines cause sleepiness. This can make the patient feel less itchy and help him/her sleep. We recommend avoiding creams and lotions that have antihistamines or anesthetics (for numbing). They have the potential to cause skin irritation and allergic skin reactions. When the rash is very severe, Wet Wrap Therapy may be recommended. Wet wraps are dressings, such as gauze or articles of clothing that have been soaked in water and then applied to the skin after soaking and sealing. Wet cotton gloves can be applied over the hands. They help keep the skin damp, augment absorption of topical medicines and have a cooling effect. Although exclusive breast feeding has been advocated for the prevention of eczema in susceptible infants, there is no evidence that this is effective. There is also no definite evidence that organic dairy products help to reduce the risk of eczema, or that maternal fish oil consumption during pregnancy helps to prevent eczema in childhood. For some patients who flare frequently, intermittent use of a topical steroid or calcineurin inhibitors (see below) to reduce the number of flare-ups may be useful. No, it cannot be cured, but there are many ways of controlling it. Most children with atopic eczema improve as they get older (60% clear by their teens). However, many continue to have dry skin and need to continue to avoid irritants such as soaps or bubble baths. Atopic eczema may be troublesome for people in certain jobs that involve contact with irritant materials, such as catering, hairdressing, cleaning or healthcare work. Previous Endometriosis: Diagnosis, Treatment and preventons. Next Epilepsy: Definition, Complications and Treatment. 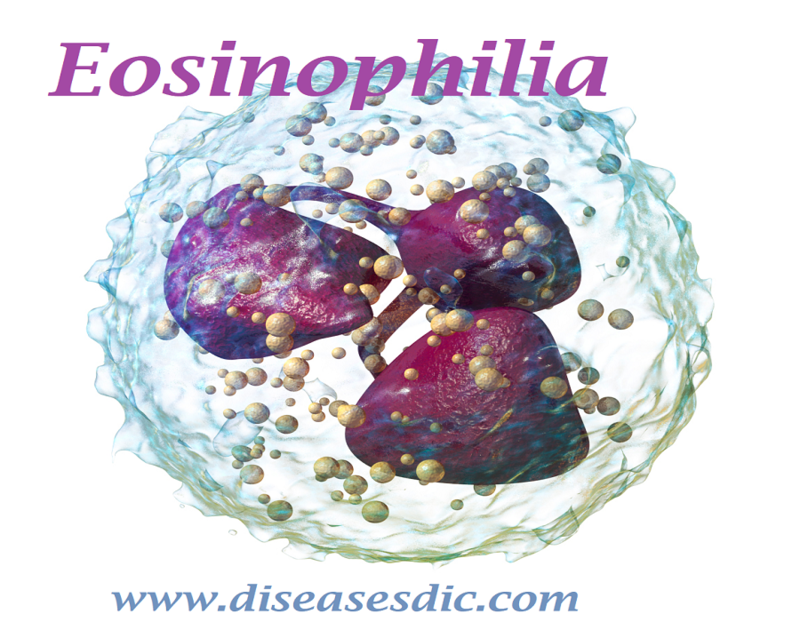 Eosinophilia – Definition, Causes, and Treatment. Excoriation Disorder – Causes, Symptoms, and Treatment. Ok sir. As soon as possible we will give you explanation in Tamil. Thank you. Please consult with dermatologists to know the actual condition of eczema present on you. have been using diprofos injection and there have been no change,,,,do i discontinue using it???? Please consult with your Doctor before discontinuation of your medicines. There are also Homeopathy medicines which cure Eczema so please consult a good homeopathy doctor to rectify your problem. sir I want to ask now I have a dermatitis at abdomen 1days already look like blister, feel hot n itch now. can I use the medicine calamine lotion for the temporary before I’m go to pharmacy? Yes you can use calamine as a first aid medicine. But please consult with a dermatologist. So many thanks for the great info about each single type of known and unknown deseases. They are really helpful and a masterpiece. I hereby want to ask that if anyone suffers from eczema more than one month like me suffering, can he/she take Bleach Bath as a remedy? Thanks in advance. my son is over a year old. He has eczema all over most occasions has it the worst on his ankles. i find the healing ointment ( over the counter) called CERAVE very helpful. i also bath him in an oatmeal bath provided by AVENO, found at any pharmacy. Hope this helps! please consult a doctor to get the proper medicines. Please read it in the treatment section of the post. I really needed this thing on eczema I found out through this article what kind I have & not to take hot baths!!!!!! !